THE Nigerian National Petroleum Corporation (NNPC) has remitted N1.118 trillion into the Fed­eration Account between April 2015 and March this year. In its monthly financial report for March, the cor­poration said as part of the total, it paid N69.544 bil­lion into the Federation Account in March. The money was from domestic crude oil and gas sold as well as other income. The financial report also added that NNPC re­corded N107.826 billion revenue in March against N104.804 in February. It said the revenue rose marginally by 2.88 per cent, adding that the expenses of the corporation dipped by 12.92 per cent to N112.368 billion from N129, 034 billion recorded in previous month. According to the report, the corporation also made a loss of N18.89 billion in the month under review. 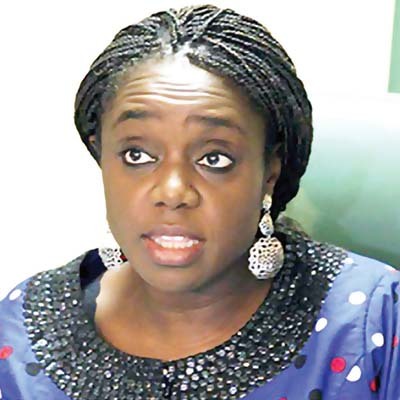 It said the loss was an improvement from a deficit of N24.23 billion recorded in February. A breakdown of the financial performance of its subsidiaries showed that the Nigerian Petroleum Development Company, NPDC, Integrated Data Services Limited, IDSL, and National Engineering and Technical Company Limited posted losses of N9.874 billion, N469 million and N69 million, re­spectively. It reported that the Nigerian Gas Company re­corded a profit of N5.155 billion. “Kaduna, Port Harcourt and Warri refining com­panies recorded losses of N1.824 billion, N1.971 billion and N845 million, respectively, while the PPMC recorded a deficit of N923 million,” it added. The report said the deficit recorded by NPDC in February and March 2016 were due to production shut–in occasioned by vandalism of Forcados Ex­port Line. This, it said resulted in the loss of its entire rev­enue from crude oil sales of about N20 billion. The report also put the combined value of out­put by the three refineries at import parity price in March 2016 at N22.93 billion, while the associated crude plus freight cost was N20.02 billion.